How big is 1 foot ? Definition and examples. 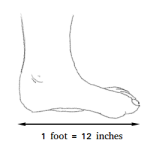 1 foot is a unit of length in the customary system of measurement that is equal to 12 inches. You may want to think of 1 foot as the average length of a human foot because this is how it was originally defined. However, unless you really have big feet, it is not likely that your foot will have a length of 12 inches. 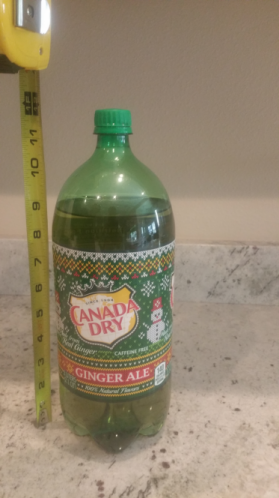 Things around your house that measure 1 foot or 12 inches. The length (longest side) of the Samsung Galaxy Note 4 is approximately 6 inches. Therefore, the length of two Samsung Galaxy Note 4s is approximately 12 inches. The length of an adult's forearm from the elbow to the wrist is approximately 12 inches.